SsangYong shows its latest electric concept car, in the form of a Nissan Qashqai-sized SUV. SsangYong has shown the latest of its electric concepts, having revealed the e-SIV SUV at the 2018 Geneva Motor Show. 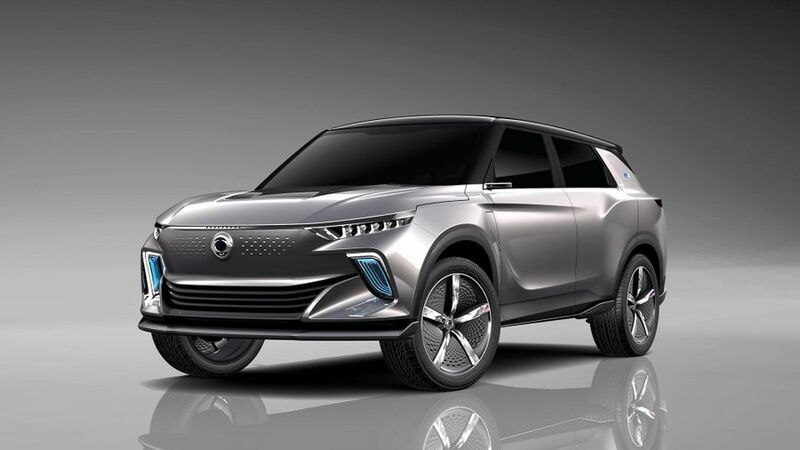 The SUV, which is the size of the Nissan Qashqai and all its many rivals, is the fifth electric car concept SsangYong has shown at a motor show, and this one claims an impressive set of figures. It should do as much as 280 miles between charges, has a top speed of 93mph, and should regain 80% of its charge in just 50 minutes. It also has a selection of clever technical features, such as self-driving systems that can recognise the lane the car is driving in and maintain a safe distance between it and the car in front. SsangYong also says it can be upgraded to increase its self-driving abilities in the future. The e-SIV can also be charged remotely, while the infotainment system will even learn how you speak to manage things like your musical preferences. The actual car is fundamentally similar to the SIV concept SsangYong has shown off twice before, so this is more an exercise in showing off technology than revealing a new design. The look will eventually make it to production in the company’s next SUV, but it remains to be seen whether all the clever tech will be offered for sale just yet.